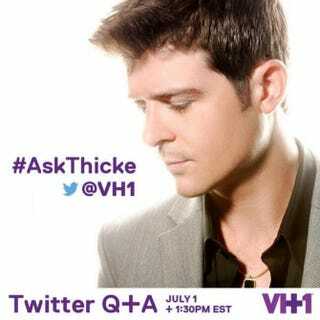 VH1 decided it would be a great idea to host a Twitter Q&A session with Robin Thicke, asking people to tweet Thicke questions using the hashtag #AskThicke. If they didn’t see how this could possibly go wrong, I wonder where they were when #AskRKelly happened, because that was pretty much an example of not knowing your audience. Thicke isn’t the most popular R&B singer out there right now. From his alleged infringement on Marvin Gaye’s music to the “rapey” lyrics of “Blurred Lines” and, finally, Thicke’s groveling online and his latest album, Paula, in an effort to repair his failed marriage, VH1 should have seen the disaster coming a mile away. Or maybe VH1 is trolling Thicke? I feel sorry for the person at VH1 who has to filter through the snarky tweets to find an actual question that Thicke would answer. We all know he’s not answering any of the above questions.